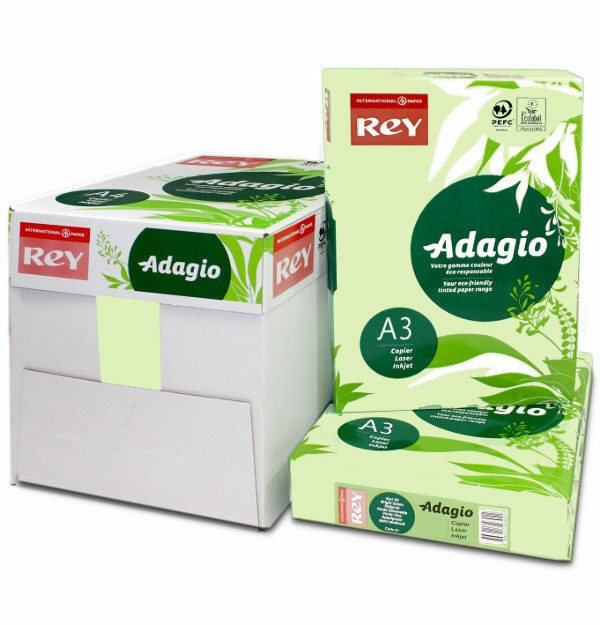 A light pastel green general purpose office paper from the Rey Adagio range. These coloured papers are guaranteed for laser, inkjet and copier printers. At WL Coller Paper Merchants, we stock for the full range of Rey Adagio coloured printer paper in our Manchester warehouse.